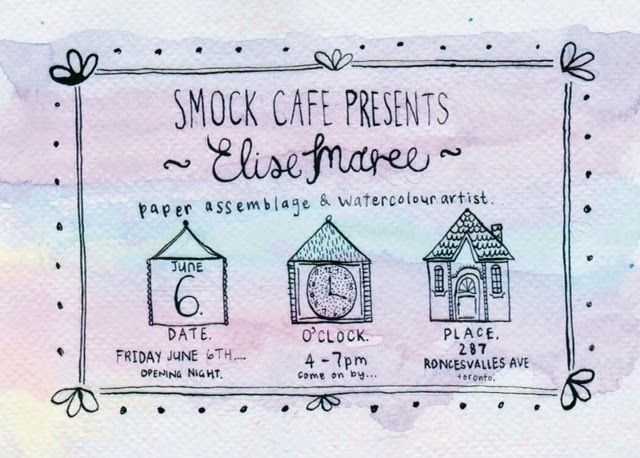 If you are seeing this- consider yourself invited to my upcoming art show at the ever so charming Smock Cafe. We will have some musical delights as well as a little pop up shop of cards and prints (by Elise Maree) and maybe even some sweet, yummy treats for all those who come. Its going to be a fun little evening & I'd love to see you there,so come along, bring a friend (or ten) and enjoy looking at some whimsical works. Could there be anything better on a friday night!